00000878-rabbi-oshiya-bais-midrosh-sign.jpg‎ (500 × 333 pixels, file size: 123 KB, MIME type: image/jpeg). This image is also available in a larger size without the logo. To use any of the Zissil photo stock images and pictures for print media please contact us. 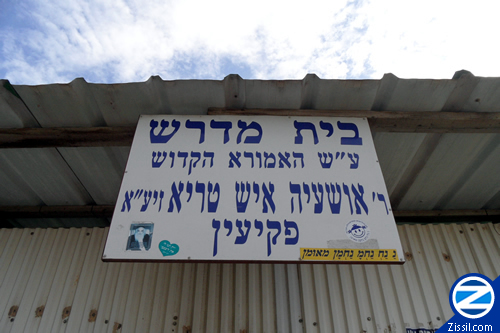 Sign above the Bais Midrash by the kever of the holy Amora Rabbi Oshiya Ish Tariya in the village of Peki'in. On the sign are a number of Na Nach stickers.